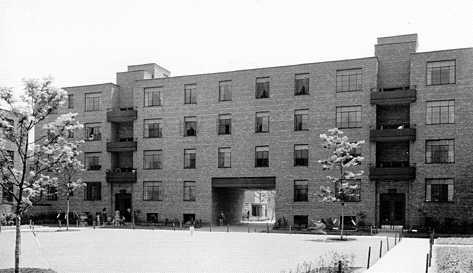 Across the world, public housing has been one of the most important public policies of the 20th century. From Chicago to Atlanta and in smaller cities around the country, public housing was an important part of the lives of immigrants, migrants, and thousands of families who relied on subsidized housing. Few cities have a more dramatic connection to public housing than Chicago, home to some of the first urban public housing efforts in the nation. The story of public housing in Chicago--from the idealism of the 1930s to the contemporary challenges--is the story of family, community, and society. In no other city has the transformation of existing public housing been so rapid and thorough. The physical landscape of Chicago has changed dramatically since the turn of the newest century. The tangible evidence of the places that thousands of Chicagoans once called home, where they raised their families and coped with the demands of city life, have disappeared. What remains are the stories. 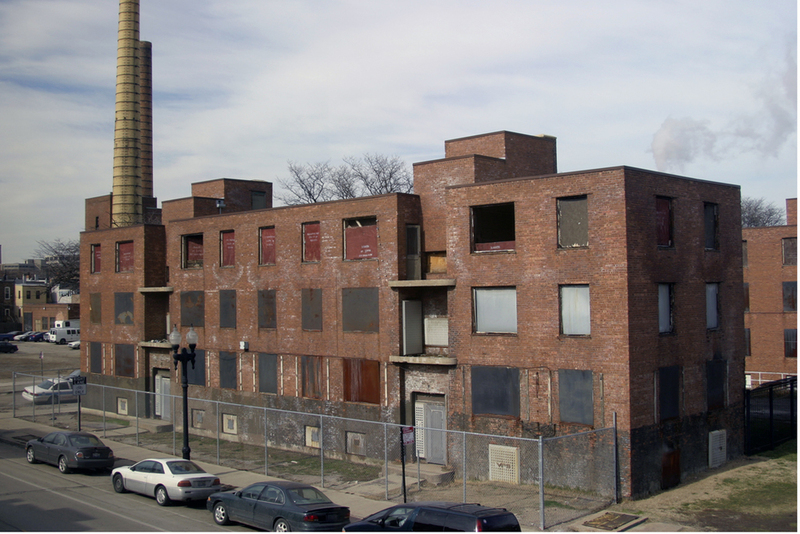 In the late 1990s, resident leaders of the Chicago Housing Authority (CHA) wanted to find a way for their children, grandchildren, and the public to know more about their place in the history of the American urban experience. They believed that the stories of CHA residents--told in their own words--would resonate with a wide audience, across Chicago, the nation, and the world. CHA residents were joined by civic leaders, preservationists, historians, and cultural experts who also wanted to create a new architectural landmark to recognize an important historic site. In 2006, this diverse group came together to preserve and transform the only remaining building of the historic Jane Addams Homes on the Near West Side. The three-story brick building at1322-24 West Taylor Street opened in 1938 as the first federal government housing project in Chicago. It housed hundreds of families over six decades and has been vacant since 2002. The Jane Addams Homes was one of the three demonstration projects in Chicago built under the Public Works Administration Act, which was created to provide jobs and help revive the Depression-era economy. Designed by a team of architects led by John Holabird, the buildings were named after the Nobel Prize-winning founder of Chicago's Hull House. Jane Addams Homes not only provided housing, but also offered child care, employment counseling, and other pioneering social services. Like the Lower East Side Tenement Museum in New York City, the District Six Museum in Cape Town, South Africa, and Chicago's own Hull House Museum, the National Public Housing Museum will be a place for social reflection, public dialogue and education. We've submitted our Development Plan to the Chicago Housing Authority which illustrates the technical, fiscal, and operational details and quantifies community economic benefits of our project at 1322 Taylor Street. The December 2013 submittal has triggered final steps of a regulatory process called “disposition” governed by the US Department of Housing and Urban Development (HUD). The result will be the beginning of construction on Taylor in the last quarter of 2014! Look here for a specific groundbreaking date! We've expressed our gratitude to the Alphawood Foundation for their incredibly generous $750,000 gift in March 2014, bringing our capital fundraising total to $2.6 M. Look here for news as your generosity helps us cross that $3 M threshold in the coming months! We've created architectural and curatorial plans for a $1.1 M first phase to restore and open four historic apartments to public visitation. We're working hard to open these experiences to the public in Summer 2015! Look here for announcements of previews, beta tours and our grand opening! We've produced a traveling showcase of interactive exhibition “The Sound, the Soul, the Syncopation: Experience the Music of Public Housing” which was experienced by 15,000 visitors during its 4-month Chicago run in 2012-13. Traveling to New York City’s Ford Foundation HQ (October 2013) and Fresno’s Housing Authority (December 2013) the exhibit celebrates unsung cultural successes from public housing nationwide. We've expanded youth programming with a grant from Chicago Area Project that supported doubling the number of youth enrolled and creating a more robust curriculum, increasing engagement from quarterly to bi-monthly. We've entered year 3 of our capacity-building grant with the Chicago Community Trust which supported a outreach development partnership with the Illinois Institute of Technology’s Institute of Design (January - May 2014). With these partners and others, like the Chicago Cultural Alliance we're continuing to build connections with public housing residents, with culture and arts practitioners, and with the Latino, Asian and multi-ethnic communities across the city of Chicago and nation. We moved into the Archeworks cultural incubator at 625 N. Kingsbury and gained home-site program space under the same roof as our offices (formerly at the University of Illinois Chicago). We love our new home, just minutes from ABLA on public transit (or Divvy!) and a few blocks from the Cabrini Rowhouses. Join us at our home-base for continued programming as we transition to realizing our museum on Taylor in 2014. We're thrilled to be a tour site for the American Institute of Architects 2014 Convention and “Know Your Chicago” this October (an initiative of the UChicago Graham School). We expect to bring hundreds of visitors to NPHM's "as-is" Taylor Street site in 2014 -- giving us good practice before we throw our doors opens to thousands who will be able to visit restored apartments starting in the Summer of 2015. We continue to be thankful for the sustaining support of countless individuals such as yourself, through donations on our website, attendance at our fundraisers and responses to our annual appeal. With these donations plus our major funders we've raised over $3.5 M in start-up funding for operations since becoming a non-profit in 2007. We continue to build planning and fundraising towards the full $6.3 M vision of the Museum, expecting to hit 100% of our capital fundraising by next Summer and continuing the build-out after the apartments of finished that same season. Look to see our complete vision on Taylor Street in 2016: with 2,500 square feet of ground floor community exhibition and programming space, 2,750 square feet of changing exhibition and state-of-the-art multi-media spaces on the second floor and youth education, community meeting and research facilities adjacent to our offices on the third floor. We are a start-up museum that's establishing a fresh legacy of successful programming: connecting issues and audiences from local to national to global. Explore our archives and discover what tens of thousands of visitors to our exhibits "History Coming Home" and "Inside Out" saw. Grasp the power of our sell-out conversation with Alex Kotlowitz and Pharoah Rivers. Peruse the virtual scan of our building completed in partnership with the University of Birmingham in the UK. Follow our conversations with the Italian-American and Latino communities. Connect to our ongoing "We are a part of them" series to expand the sense of civic neighborliness to include the "public good". We are NPHM: watch us here!